It’s hard to believe that such scenes as this abound in what was supposed to be a Shangri-La in the sand. But dreams and schemes of paradise along the shores of the Salton Sea, a tranquil, buoyant, low-lying inland sea in the bleak and blistering desert at the very bottom of California, never came close to reality. The sad reasons why are a confluence of geology, hydrology, history, hokum, and hope. 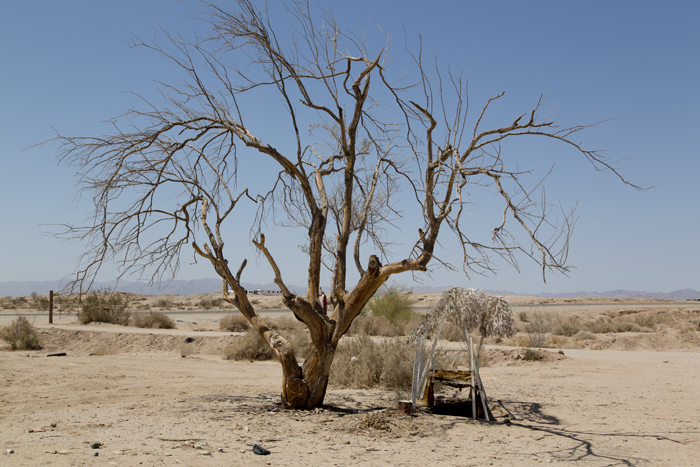 Picture, first, what lies a mere 45 minutes to the north of the Salton Sea in what was once similar bone-dry, nearly uninhabited terrain. 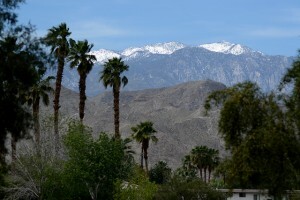 It is now lush Palm Springs, Palm Desert, and Rancho Mirage, the resort playgrounds of California’s rich and famous and those who come to play golf and to “winter” in style there among the pools and palms. 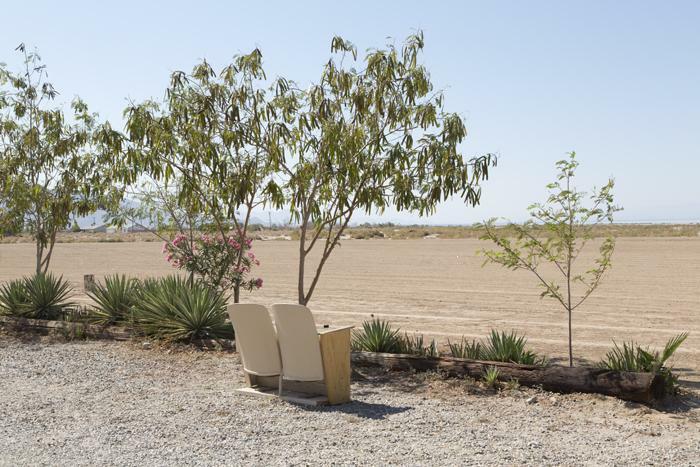 It’s also green to the south of the Salton Sea, along the Mexican border in the Imperial Valley, where irrigation was put to a less-glamorous purpose: creating one of the nation’s most bountiful vegetable patches. So from high in the air above Southern California, looking east and a little north from San Diego, one sees coastal mountain ranges — the ones that trap most of the moisture that swirls ashore off the Pacific Ocean. Then a craggy desert wilderness. And finally, that strange sandwich I described: green golf courses and palm-lined estates above; green fields of onions, artichokes, and a hundred other crops below; and a dying saline sea in between. 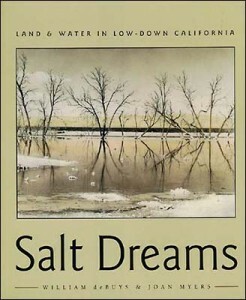 The “accidental sea,” conservationist and gifted storyteller William deBuys calls it in Salt Dreams, which he published with photographer Joan Myers in 2001, when the saline level of the Salton Sea was already 25 percent greater than that of the Pacific Ocean. “Accidental” for reasons to be explained. A few fish species were hanging on there back then, and hopes that the sea might somehow be “reclaimed” as a recreation paradise were still bouncing around the arid lowlands. Really low lands, 70 meters (230 feet) below sea level. 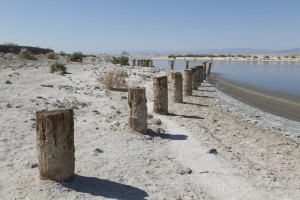 But most of the politicians and commissions and study groups that once gave voice to saving the Salton Sea have moved on or given up, in part because California is broke and in part because the sea is fast approaching what experts call the “tipping point,” beyond which it simply could not remain viable. Already, the air above the seawater stinks of decayed algae blooms each spring and early summer, and of dead fish all year long. Only a hardy, amazingly adaptive freshwater fish, the tilapia, imported from Africa, survives in any number. The sea’s saline levels have risen to 40 — some say 50 — percent higher than those in the Pacific. But the yacht club and urchins and kings — as in Hollywood’s glitterati who at least dipped their toes into the Salton Sea — are long gone, and a small Indian casino is the lone tourist attraction. 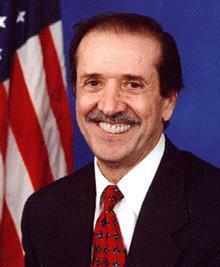 Sonny Bono had longer hair and wore beads when he was singing with Cher. Here, he's a congressman. Gone, too, is the one person who, through the dint of his determination, might have had a shot at saving the sea. Salvadore “Sonny” Bono, the singing, wise-cracking husband in the popular Sonny and Cher pop-music duo of the 1960s and ’70s, became mayor of Palm Springs, then a U.S. congressman from the district that included the Salton Sea. According to a widely repeated story, a plane carrying Bono and a top aide had just taken off from San Diego and flew over the Salton Sea. Looking down, Bono wistfully recalled his idyllic youth in the 1940s, lolling and water-skiing there. The sea wasn’t much then — the fantasia hype was a decade away — but it was fresher and cleaner, and families had built cabins around it. Told of the dire plight of the Salton Sea below him, he pledged to devote his energies to save it. And Bono followed through, exciting Congressional and regional interest in the isolated sea. 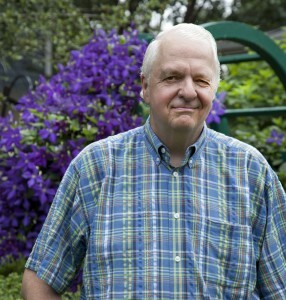 Today, the wildlife preserve in the area is named for him. Following Bono’s death in a skiing accident in 1998, Congress passed a bill establishing the “Sonny Bono Salton Sea Restoration Project.” But without his charismatic personality to drive the effort, reclamation of the waters that, for a brief time, had drawn more tourists than California’s famed Yosemite National Park, was all talk and little action. It never got beyond the study stage. Let’s back up here and unfold the tale from the moment of the Salton Sea’s creation about a century ago. There was already a parched desert sink there, left when an ancient sea evaporated. The depression in the sand was an unsightly sump — a giant puddle that gathered rainwater, agricultural runoffs, and chemicals leeched from the desolate western desert. Influxes of pure water were limited in this endorheic basin — meaning it has no outlet to the sea — since the sunbaked terrain receives only 6½ centimeters of rain a year. But when the rains do come, as when hurricanes blow up from the Gulf of California, they come in torrents. Flash floods pour minerals into the sump. They dissolve in the water and collect along the shore. Salt was left there and across the desert floor in such quantities that railroads built spurs from civilization down into these badlands to extract and ship it. Fifty kilometers (30 or so miles) to the east, though, fresh, mountain-born water gushed in abundance. The Colorado River, which now forms the border between California and Arizona, ran down to the California gulf. Seeing the potential for an agricultural utopia in the Imperial Valley at the turn from the 19th to the 20th century, engineers built canals and drainage pipes to tap into that great river. 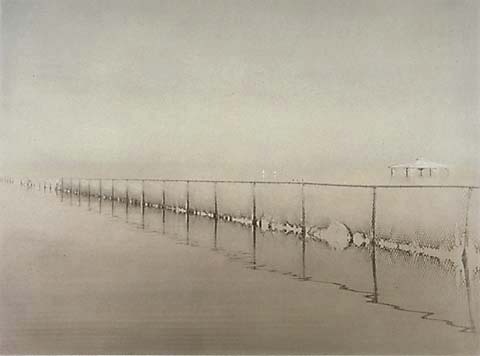 Then came the accident — a monumental one that created not only the Salton Sea but also fantasies of a desert nirvana. Silt that washed down the Colorado began to clog the outflow pipes and canals. So in 1905, workers gouged a giant cut into the river’s western bank to allow some of its water to flow directly into the valley. The result was unexpected, incredible, and would have been catastrophic had thousands of people lived in the area. Water didn’t babble gently over the land. It surged into the cut, blew it wider, and raged across the plain. In effect, the Colorado River changed course and headed directly for the Salton Sink. It took a year and a half to close the breach. The “Great Diversion,” as people came to call it as if it were intentional, turned the sump into a sea! Not a little one, either, but, overnight, California’s largest body of water, 55 kilometers long and 25 km broad at its widest point. At first, this was not all bad. With frantic damming, the Colorado was coaxed back into its proper channel, leaving this happenstance sea behind in the forlorn desert. It would have evaporated back into nothingness had not agricultural drainage continued to feed it. Migrating birds by the millions descended upon the Salton Sea — desperate for a stopping place along the Pacific Flyway as lakes up and down California were drained for development. No doubt they were delighted — to the degree that cormorants, white pelicans and ducks can express delight — to find tasty and plentiful food there. Mullet and other fish had washed down the Colorado and into the Salton Sea, which at first wasn’t very salty at all. To this day, conservationists call the Salton Sea “the crown jewel of avian biodiversity” in California. As salinity levels rose over the decades, saltwater gamefish such as corvina, croaker, and sargo were introduced, to the point that by the 1950s, a lively sport-fishing industry sprang up around the sea. So did campsites and modest trailer parks, as the human kind of snowbirds — as well as scruffier sorts who prefer not to be noticed — set up homesteads in the area. Year-round living there never really caught on in a big way, though, since temperatures thereabouts top 38° Celsius 110 or more days each year. So what? thought the dreamers and schemers. 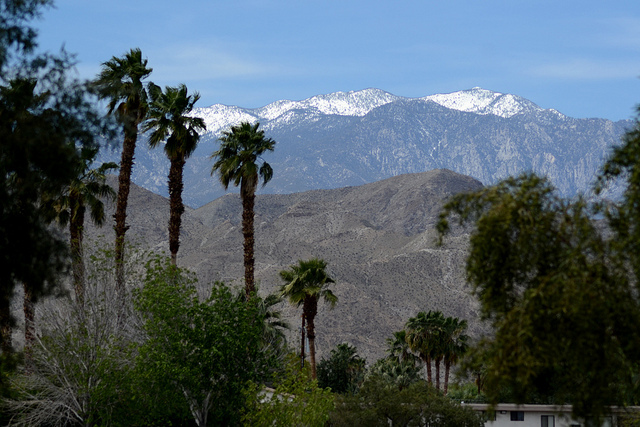 Look what happened up in fancy Palm Springs, where it’s just as hot. And those rich folks have no sea on which to frolic. 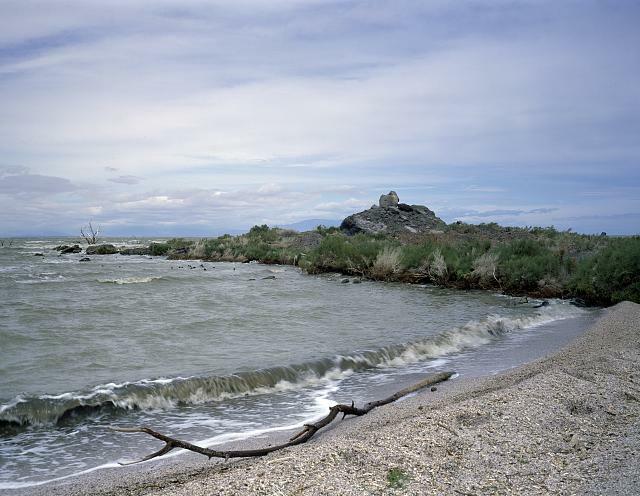 Could we turn the Salton Sea into California’s Mediterranean? 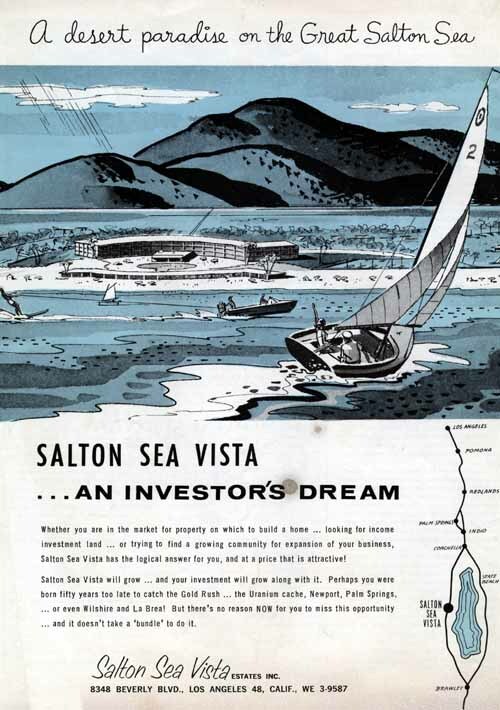 He would build Salton City, a “superspectacular” and “ultra-modern” resort town. 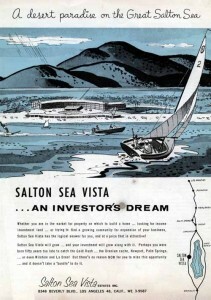 A “Salton Riviera,” according to huge sign above his sales office. Phillips had the track record to prove it could happen, and people couldn’t wait to hand over their down payments on lots. This was not a Penn Phillips production, but it gives you an idea of the hype surrounding land sales around the lake. Phillips’s company pocketed more than $4.25 million on that day alone. Based on a later investigation of the real-estate stampede, deBuys calculates that Phillips paid between $2 to $4 a hectare for land so bereft that it had existed solely “to keep Hell from shining through.” He sold hundreds of half-hectare lots — and smaller — for $3,500 apiece. A few of the “lucky” new landowners set about building the winter or retirement cottages of their dreams. 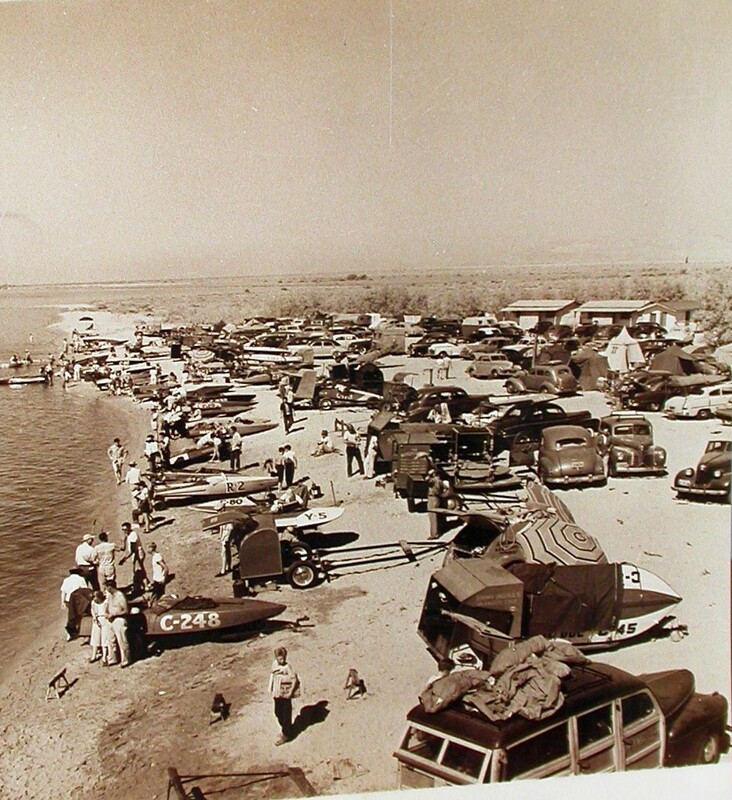 And actual yachts and yacht clubs sprang up at Salton City and on the sea’s north shore. 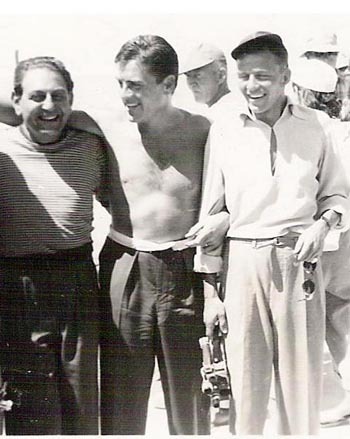 Sinatra, comedian Groucho Marx, and actor William Holden were among the members. But barely two years after the opening extravaganza, M. Penn Phillips sold his interests in this “Riviera” to another development company. 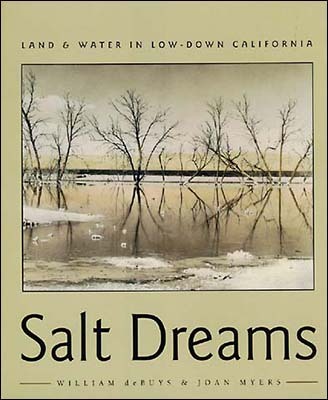 “Did he have a premonition of the toxic trifecta of high salinity, algae blooms, and massive fish die-offs that would soon tarnish the Salton Sea’s reputation?” asked Peter Moruzzi in his 2009 book, Palm Springs Holiday: A Vintage Tour from Palm Springs to the Salton Sea. 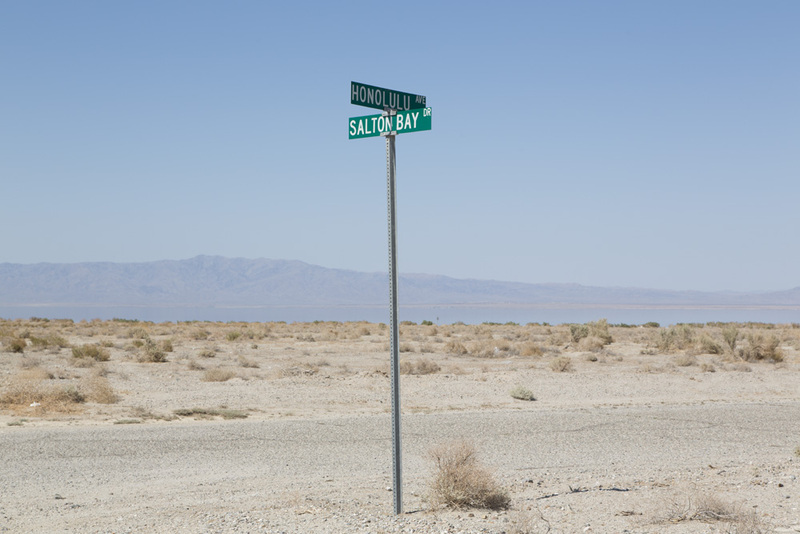 More than 20,000 buyers had paid, or committed to contracts, for property in Salton City. But 10 years after sales began, only about 200 modest houses had been built. Their owners and others who invested there were, in William deBuys’s words . . .
. . . the last to realize (if they ever did) what was plain to the rest of the world: the shoreline of the Salton Sea lacked the attributes of a good place for a city, let alone a resort. It was too hot, too foul, too isolated, too vulnerable, too hostile. Still, although its salinity and its stink grew as the years went by, people found their way down from the mountains and the ritzy palm resorts to pack the shoreline to watch grand water-skiing exhibitions and boat races on the Salton Sea. 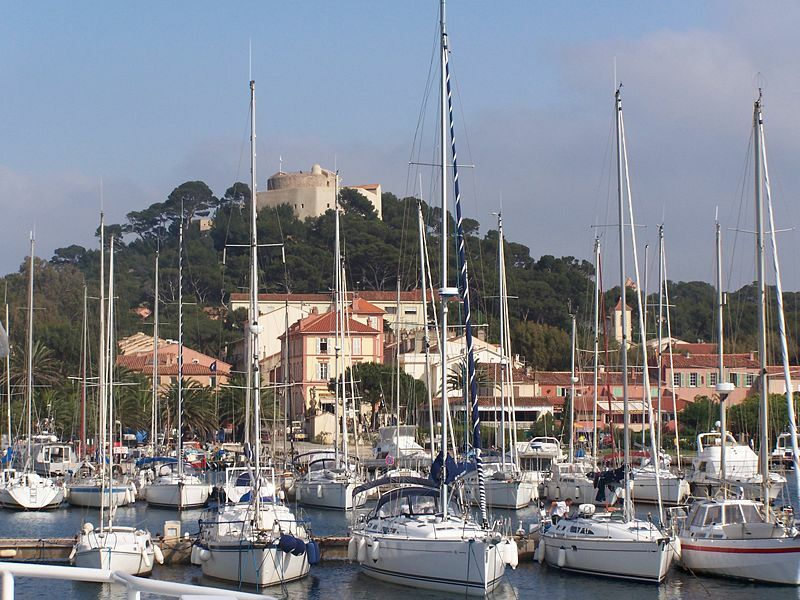 Its sub-sea-level setting and rising salinity were good for something: they added buoyancy and high oxygen content to the air that flowed into racing-boat engines. World speed records were set there. But, before long, it was clear that there would be no boom, no Riviera, on the hot Salton sands. Even most of the diehards gave up trying to create one after catastrophic flash floods in the 1970s wiped out two yacht clubs and a number of cottages and trailer parks. Then Sonny Bono died, Congress kissed the Salton Sea restoration idea goodbye, and bankrupt California focused on trying to pay teachers and keep its freeways open. 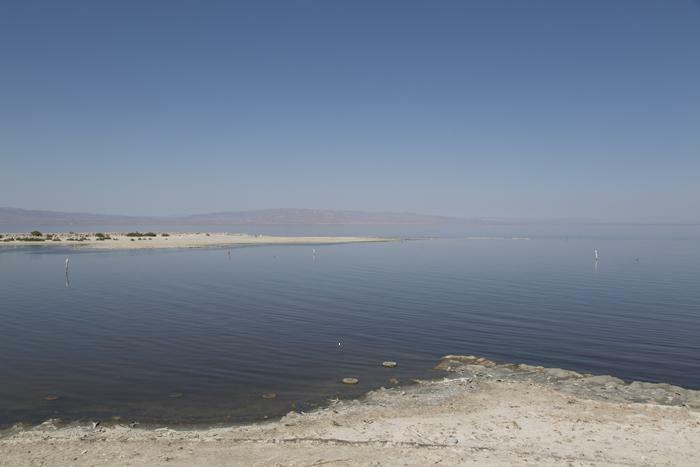 If you Google “Salton Sea reclamation,” you’ll find hundreds of updates — almost all of them from 2003 and earlier. “The Salton Sea lies on the brink of catastrophic change,” the Pacific Institute, a conservationist research organization, reported in 2006. The amount of water flowing into the Sea in the next twenty years will decrease by more than 40%, causing its surface elevation to drop by more than 20 feet [6 meters], rapidly shrinking its volume by more than 60%, tripling its salinity, and exposing more than 100 square miles [26,000 hectares] of dusty lakebed to the desert’s blowing winds. Those dust storms would send fine, caustic — even toxic — dust into the Imperial Valley, which already suffers from the highest childhood asthma hospitalization rate in California. Maybe northward into posh Palm Springs and Rancho Mirage, too. Many — if not most — of the hundreds of thousands of birds that currently use the Sea will lose their roosting and breeding habitats and their sources of food. And even the optimists can only sit on their folding chairs on what humble patios still exist around the sea and ponder what may be the coup de grace: agreements signed in 2003 that will soon begin transferring up to 45 per cent of the fresh water that once flowed into the Salton Sea to populous San Diego County. When Carol and I visited the Salton Sea in May, we were stunned by the rotten-egg smell and by the sight of wrecked and abandoned trailers in a place called “Bombay Beach” on the sea’s eastern shore. “Bombed-Out Beach,” it looked like. 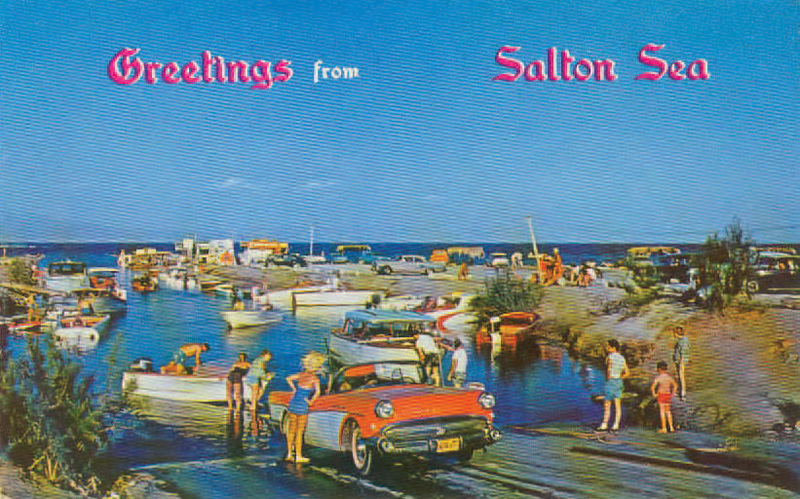 And Salton City was anything but a destination resort. Most of the few hundred surviving bungalows looked inhabited, but beyond a little store on the pass-through highway, we saw only one person — an old-timer snoozing in a seat out in front of his trailer — in the entire community on a Sunday afternoon. There were no boats in the water, and only weeds, dead stumps of palm trees, and stinking fishheads at the end of Yacht Club Drive. Hope springs eternal, though, in a few remaining stalwarts, including Jennie Kelly, who maintains the Salton Sea History Museum in Mecca — a town of mostly migrant laborers on the sea’s northern shore. Fishing is still good, she says, and there’s talk of expanding the production of geothermal energy created by superheated water, pulled from an underground aquifer, that’s turned into electricity in the valley. But even she recognizes that another “great diversion” — of water to San Diego — would be a dagger to the heart of those who love the remote, receding Salton Sea. Extravaganza. An elaborate festival or musical performance. Hokum. Wild exaggeration or artifice by a huckster, designed to impress, often to convince others to spend their money on something that is worthless or nowhere near the value described by the salesman. Indy. Shorthand for the city of Indianapolis, Indiana. In the sporting world, “Indy” is universally recognized as a reference to the famed Indianapolis 500 open-wheel automobile race each May. Midas touch. A reference to King Midas of Greek mythology, who turned everything he touched into gold. Snowbirds. Seasonal tourists who come and stay in warm resorts and temperate communities when the snow is flying back home. Great article on the Salton Sea. Thanks you. Visited many times. Sad that parks are now being closed. Fascinating story, Ted. Keep up the good work! He would know these things! and I’m glad he helped clarify. 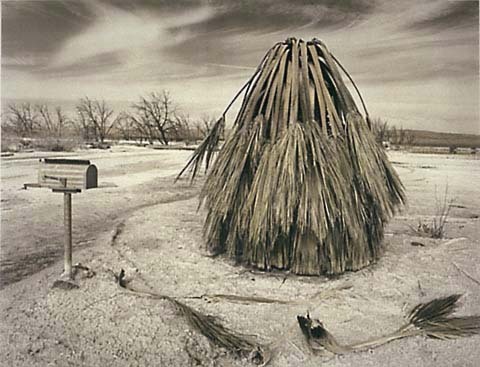 Just watched a docu about Bombay Beach. I turned it off after about 45″…. So depressing watching the antics of its few residents…..so sad indeed! it they would have just let the river keep running into the basin back when they first made the cut into the river bank then dammed the old river channel then the rivers diversion would have filled the salton sea basin to it’s ultimate highest capacity then as water does it would have cut it’s own way back to the river channel down stream and continued its way to the sea. the result would have been a lake with a positive flow of water to keep it flushed out and freshand the river would have eventually silted up the bottom enough to bury the salt that was on bottom.this wolud have given them an enormous body water that would be big enough of a heat sink to alter the weather temps quite a few degrees. i see here in texas all the time how towns that are near the lake are consistently 2 to 5 degrees cooler than the towns just a few more miles down the road. a lake here in texas(Lake Livingston) cools towns with it’s heat sink properties 10 to 15 miles away just by looking at the prevailing weather readings you can see the surrounding towns are always cooler. This makes sense to me, though I’m no hydrologist. You’re right that what they tried certainly didn’t work. 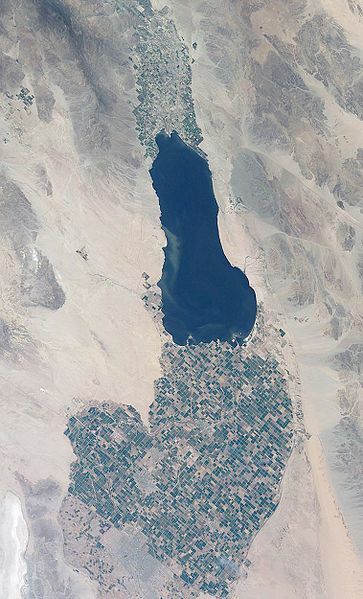 Of course, they weren’t trying to create a lake, just irrigate some dry desert fields. 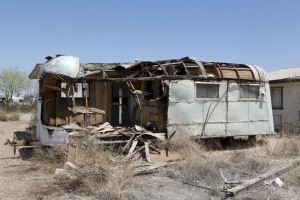 I have also seen the docu on bombay beach – kind of depressing, you’re right. It was on a german TV station last night. I was not far away from the Salton Set 2 years ago. We managed to go to 29 Palms, Big Bear Lake and the Josua Tree park. Once returning to the US, I would like to go to the Salton Sea. In my youth I have been reading stories about people running for records on the plain salt sea. Now the Salton is kind of the state those lakes were a few thousand years ago.